Do you wish to create a motion picture? How often have you wished you could record your favorite dance video, or music video, to be enjoyed later and, maybe, performed along side? Or, meeting your long lost childhood friend online, and exchanging a warm, emotional webcam chat that you wish you could record and watch over and over again? Certain events are such, they warm the cockles of our heart and we so wish to treasure them for an eternity. However, not every event gets recorded for future viewing, for you need the help of technology in such matters. Not many apps have been developed for the purpose. There are, however, certain applications that have been created especially for Apple products, like MacBook Pro and MacBook Air.It is easy to record videos on MacBook with the help of such apps. These programs help you save the videos that you wish to have for keepsake. 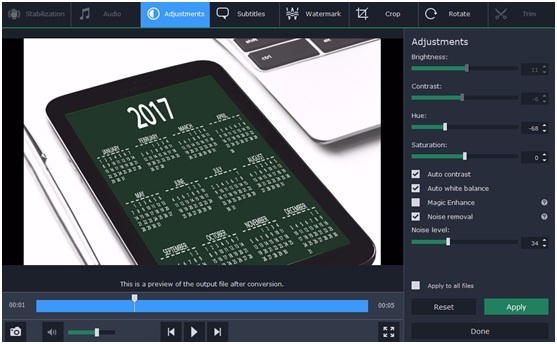 Apart from this, you can also edit recorded videos and convert them into personalized videos that suit your style. The number of possibilities is vast. Moreover, these apps come across as user-friendly. You need to only follow their short how-to guide that will take you step-by-step through the installment procedure and capturing and recording of the videos. To begin with, set up the program and click on the record screen on the window that acts as your workspace. Adjust the size of the frame by pulling on its edges. Next, make sure the audio and the microphones are switched on. The green highlight will indicate whether it will be recording the audio or the video. Once the stage is ready, click on REC to record videos on Macbook. If you wish to take a break in between, just click on the ‘Pause’ button. Once the video is completely recorded, click on ‘Stop’ and then ‘Save’ the recording. You also have the option to stop the recording and cancel it. Press on ‘Cancel’ if you aren’t satisfied with the recording. Once you click ‘Stop’, you will see the preview window. Here you can replay the entire program to check if it has been recorded as per your liking. If you feel the film is too long, you may trim it to the length you desire. And, if you are satisfied with the video, press ‘Save As’. Select the right design you wish to save it in and click on ’Save’. And, if you wish to work on the recording and retouch it some more, click on the ‘Open in Editor’ button and continue editing. You can edit the videos by applying special effects as well as background score and give them the feel of a motion picture. The Magic Enhance filter helps you to enrich your recording for this purpose. Once you are done with the editing, just click on the ‘Export’ button, and save it. You can either watch the video on your smartphone or on YouTube, so save it appropriately. You could also use Capture Video on Mac using Screen Capture Tools in other programs, like the Quick Time Player that can be used as a simple screen recorder. You could also record a video using Limited Recording Programs, like ScreenFlow, or Voila. <arel="nofollow"href="https://twitter.com/technology?ref_src=twsrc^google|twcamp^serp|twgr^author">Technology</a> has undergone such a huge change over the years. Once upon a time, we may never have imagined if we would be able to record videos of our choice. For that matter, we may never have imagined that something known as applications would make our life so simple. Go ahead record your videos. Happy viewing! I have found good info regarding iPhone Application Development Company, Have a look over there.